Fighting for Justice: a Leeds suffragette. This blog post has been adapted from a talk I gave at the White Rose Ladies Speakers Club last year. It’s Saturday 1st February 1913. Visitors on a tour of the Tower of London are entering the building. A well-dressed young woman, her hair neatly styled, steps inside among a group of schoolboys. The Yeoman Wardens (commonly called Beefeaters) guarding the Tower of London and overseeing the tours are having an uneventful day so far. They have no idea that this elegant young woman, whom they probably think is a teacher, is hiding something under her coat. She feels like her heart is being hi-jacked by a manic drummer. Outwardly she looks composed. She waits. Quietly. When we hear about the suffragettes, we usually hear about well-known women, such as the inspiring leader, Emmeline Pankhurst. We also hear about Emily Davison, who died when intercepting the King’s horse at the Derby race-course (that’s Emily Davison, by the way, not Davidson as we Davison’s often get called). What about the equally brave, women who have often been forgotten by Suffragette historians? And what was going on in Yorkshire and, specifically, right here in Leeds, during those interesting times. This is what I wanted to know. 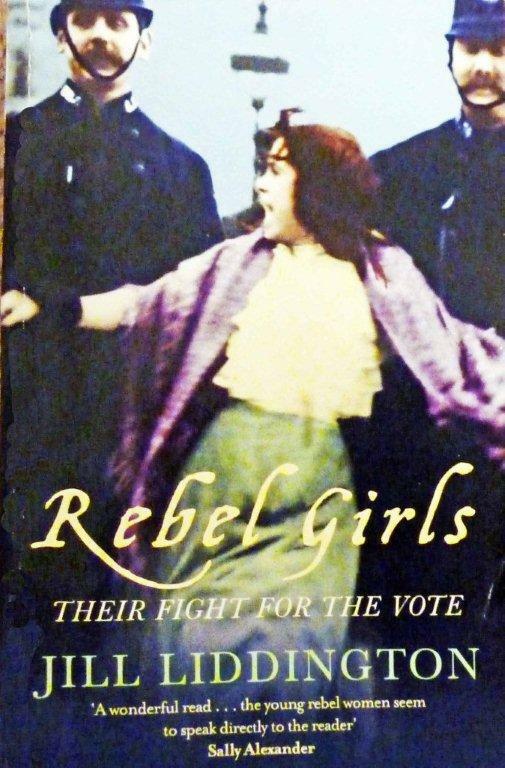 My search for answers led me to a fascinating book called ‘Rebel Girls’ written by Jill Liddington in 2006, which is about the often forgotten Yorkshire suffragettes. Leonora was born in 1873 at Hunslet, Leeds. Her father, a sculptor, died of TB when she was five. An incident that left a strong impression on Leonora when she was growing up was hearing her mother comment that a woman had no say in things, whereas a drunken lout opposite had a vote simply because he was a male. This is said to have sparked off her interest in women’s rights. She left school at 14 to work for a milliner. She married Henry Cohen, a watchmaker and jeweller and they moved into a house in Harehills. In 1901 their son, Reginald, was born, and Leonora gave up her millinery job. Leonora’s interest in women’s inequality increased, and Henry supported and encouraged her in this. By 1911 she was secretary for the Leeds branch of the Women’s Social and Political Union, the WSPU as it was known, an organisation campaigning for votes for women. The WSPU was formed in 1903 by Emmeline Pankhurst. It began as a small pressure group within the socialist Independent Labour Party, but later it adopted a non-party position, becoming independent of all political parties. Many members of the branches in Yorkshire were poor mill workers, united in their cause with middle class members such as Leonora Cohen. Leonora’s husband, Henry, remained loyal and supportive to his wife in all her suffragette activities, although these did, of course, cause him a lot of anxiety about her safety. He was very worried about her giving speeches at open-air meetings, which often turned violent. Huge open-air rallies were held in Leeds. In July 1908 over 100,000 people attended a rally on Woodhouse Moor where ten decorated wagons formed platforms for prominent suffragette leaders to address the crowd. A procession proceeded from LeedsTown Hall to the Moor, headed by brass bands playing rousing tunes, flags flying and drums beating. Thousands of women carried placards and banners emblazoned with the Suffragette colours of purple, white and green. Purple symbolised dignity and freedom, white, purity and green, hope. Becoming competent at public speaking was obviously important for suffragettes. The Leeds WSPU branch set up a speakers’ class to build women’s confidence and enable them to gain a range of public speaking skills. But suffragette speakers were pelted with stones, rotten fruit, clods of earth, mice, and, on one occasion, dead cats and dogs. The abuse didn’t only come from men. Leonora Cohen told of giving talks in Leeds and the women used to shout they’d like to hang her with the green scarf she was wearing. Once arrested and imprisoned, it’s well-documented that many suffragettes went on hunger strikes and were forcibly fed with a tube down their throat, which often left them gagging and vomiting. I don’t think I would have had the guts (pardon the pun) to put myself through such an unpleasant and dangerous procedure. One woman, Lilian Lenton, very nearly died in Holloway when the feeding tube accidentally went into her wind pipe and food was pumped into her lungs. 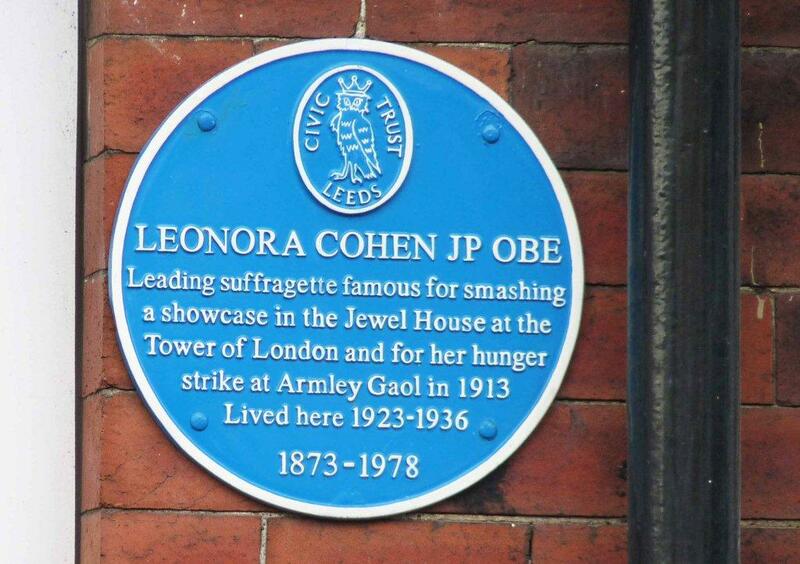 Leonora went on a hunger and thirst strike while in Armley Prison on a charge for throwing stones at windows during a WSPU demonstration in Leeds city centre. She was released temporarily under what became known as the Cat and Mouse Act, introduced in 1913. Under this Act, a woman was released from prison when her health deteriorated and rearrested once she had recovered, only to repeat the same process. If ever I’m tempted to stay in my comfy, warm living room instead of going out to vote, perhaps I should remember the suffragettes. The WSPU continued until the start of World War 1. Those who had thought women should restrict themselves to domestic duties soon enlisted them in jobs previously held by men to help the war effort. By the end of the war, things had changed. In 1918, women over 30 were granted the right to vote, although it was another ten years before all women over 21 could vote. The heady years of the suffragettes were over. What became of Leonora Cohen? This feisty woman who had broken the law and endured imprisonment on several occasions became a well-respected Leeds magistrate for 30 years. She was one of the first female magistrates in the country. A life-long vegetarian, she died aged 105 in 1978. A blue wall plaque commemorates her at the house in Leeds where she lived from 1923-1936 at 2 Claremont Villas, Clarendon Road. My blog post today is in honour of Leonora Cohen and all the other brave women who lived up to their motto: DEEDS NOT WORDS. Women who risked everything to go out and do what they felt needed doing. Women who were FIGHTING FOR JUSTICE. This entry was posted in Books, History and tagged Jill Liddington, Leeds, Leonora Cohen, suffragettes, votes for women by Jean Davison. Bookmark the permalink. I, too, think Leonora is an inspiring woman and, yes, it’s great how her husband wasn’t afraid to go against convention and how he continued to support his wife. I really enjoyed giving this talk. No. it wasn’t recorded. We do occasionally record the talks, but not often. Your comment about us being ‘force fed’ rhetoric today is so true. It’s easy to look back at the past and feel we’ve come a long way (not just about the suffragettes but on a wide range of issues). Yet I’m sure in the future people will look back on what is now the present and think, ‘OMG! Did they really have those attitudes back in 2013?’ And maybe some will feel complacent that the world has been put to rights, but of course it won’t have because they’ll only be seeing things from their own place in history, too.